Get free TinyCMS installation and a smooth running site by choosing the right foundation, and say goodbye to file upload problems, permissions issues and other TinyCMS hosting compatibility headaches! It just requires several click on your mouse and moreover, it is provided FREE of charge! What is European TinyCMS Hosting? It’s the type of software that will save dozens of work hours when you are building a website. It is a CMS (Content Management Software) written in php, that tries to be as user friendly as possible, very smart and most importantly, extremely fast. Made for web-designers, the TinyCMS suite is easy to install and easy to extend. 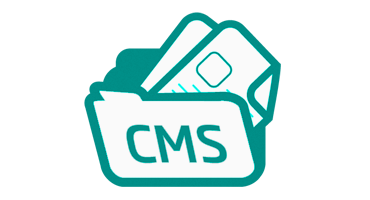 TinyCMS does not use data-bases, it’s storage mechanism are simple text files. This makes it very fast and very web hosting resource friendly. By installing TinyCMS you don’t have to worry about your website’s engine. You have an easy to use administrator interface and a single html file that you can edit as you wish to completely change the way your website looks. Why Choose HostForLIFE.eu for European TinyCMS Hosting? Try our Free TinyCMS Hosting today and your account will be setup soon! You can also take advantage of our Windows & ASP.NET Hosting support with Unlimited Domain, Unlimited Bandwidth, Unlimited Disk Space, etc. You will not be charged a cent for trying our service for the next 3 days. Once your trial period is complete, you decide whether you'd like to continue.